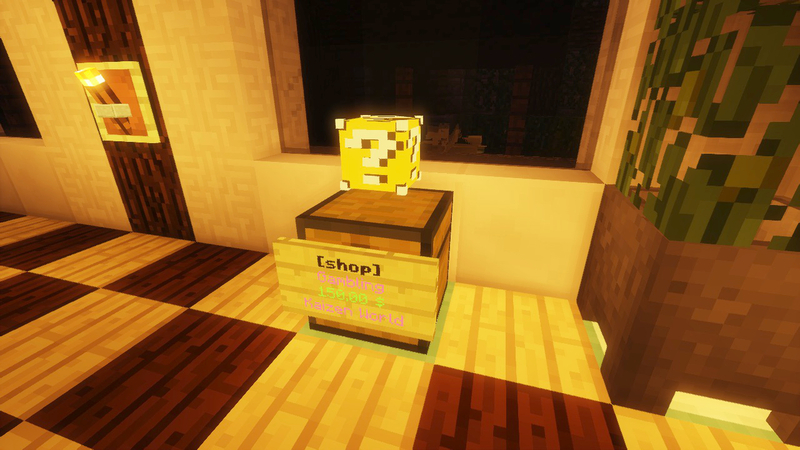 First we had QuickShops, which gave us nice floating icons above chests as well as signs on them. This was fine, however the plugin often lagged behind Minecraft releases, so we moved to Shopchests which was more up to date but did not feature signs on chests. In addition, we discovered last week that the chests would not work properly in the Nether. While searching online for yet another alternative, we decided to grab a premium plugin, named ‘Shop.’ Yes, this was payed with our, already small, hosting budget but now we have a plugin that just works, is up to date, has all the features we want, and much more. Everyone can create shops that sell, buy, or barter items, and can choose how to display products between four display modes. 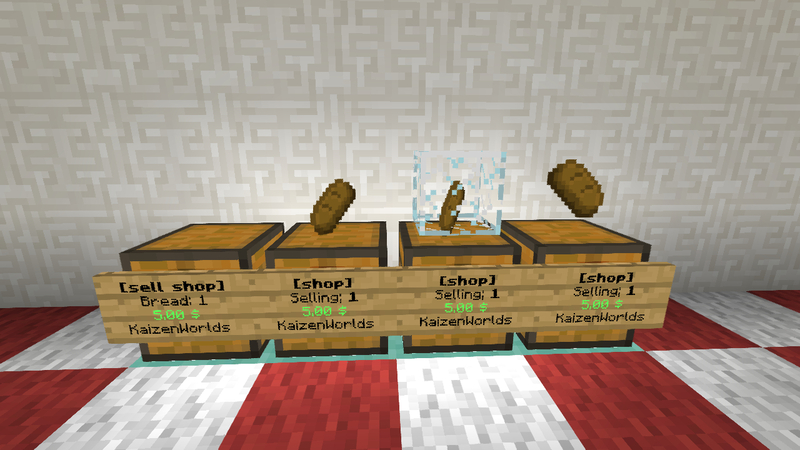 The 4 display modes for shops. Staff can create gambling shops. the first one you will find is in Sevendale’s restaurant, ‘t’begijntje.’ For 150 in game dollars you can have a lucky draw which will randomly give you anything from dirt all the way to enchanted diamond armour, beacons, and that one thing you really want. The lucky draw shop at t’begijntje restaurant in Sevendale. The page with the shop plugin workings is available here. Previous Post: Warp Plugin Has Been Replaced!